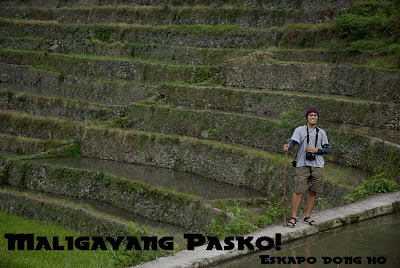 dong ho eskapo: maligayang pasko! - you think you deserve this? maligayang pasko! - you think you deserve this? definitely the happiest season of the year, as we spend time with our family. people would travel back to their province for a reunion and celebrate one of the most important feast. but above all these, let's value the simplicity of how Christ was born in a manger. let not big celebrations and lots of money define this season. our humble heart and cheerful spirit will be more than enough. eskapo greets you a Merry Christmas! Maligayang Pasko! Felices Pascua! photo above was taken by Erick while we were in Batad rice terraces. this post can't end without giving out something on this day. 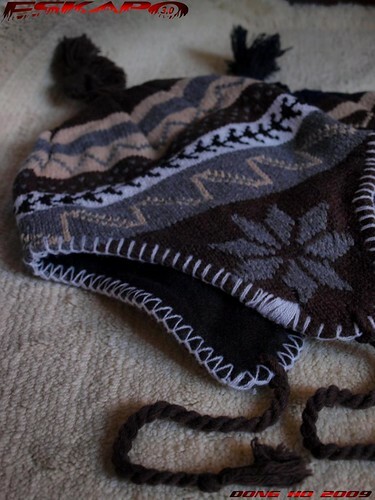 i'm giving two eskapo Peruvian hats. just let me know why you deserve it. valid only to those within the country. contest runs from Dec 25 12:01 until 11:59pm. 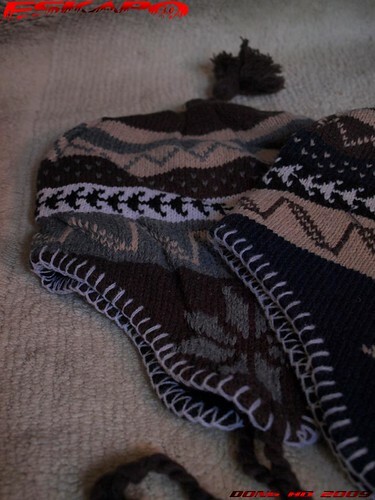 I deserve that because I have been a good girl and because I want that hat to accompany me in my travels this coming 2010. Merry Christmas Dong. Merry Christmas! Wishing you love, joy, happiness and best of health. May you have a meaningful Christmas with the people you love. Have a great feast. Merry Christmas Dong!!! Wishing you all the best about the season!!! *ang hirap kapag tumatanda ka na, wala nang nagbibigay sa'yo ng regalo. ikaw na iyong inaasahang magbigay. hehe. Yes, I deserve it, kasi papunta din ako sa Battad. merry christmas...i deserve it kasi navivibes ko na yan ang magbibigay saken ng spirit of adventure!! Eto may story pa ako ah, hehe! bata pa lang ako pangarap ko na talaga magtravel, kaya nga tourism ang unang exam na kinuha ko pero nagbago ang isip ko and I take accountancy instead pero ngayon, I've been working in a travel agency pa din, so eto pa din talaga ang bagsak ko di ba? Balak ko na talaga mag travel and I have been naman this year but in 2 places only excluding pinas and those are guangzhou and macau, balak ko naman mag mag try sa iba, ndi na nakaya ng budget at ng time so what I'm thinking is baka eto na ang aking magiging lucky charm ko sa pagtra travel dahil galing ito sayo mr dong ho! hehehe! yun lang po, merry christmas! sana matuloy na ang mga binabalak ko next year! I'm all for simple. And kind. Thanks for the photography tip. I am always grateful for these. maligayang pasko sa iyo pati na sa iyong pamilya. Let Christ be the reason over this season! Ha, I like that hat! merry christmas dong and may you have a blessed one! Maligayang Pasko! Merry Christmas to you and your family too, Dongho! Merry Christmas, Dong! Take care always and I look forward to more of your posts in the coming year. Maligayang pasko rin sa iyo brod. Looking forward to your cool photos for 2010 ! I wish you a healthy & happy start to the new year.